Referred to as “the smart meter debacle” by a CTV news anchor, the Saskatchewan government has ordered SaskPower to remove all 105,000 smart meters that have been installed across the province following several fires linked to the devices. In a news conference on Wednesday, the Minister responsible for SaskPower, Bill Boyd announced that 105,000 smart meters in the province will be removed and replaced with the old meters. At least eight smart meters in the province have caught fire. “The concerns about safety are paramount here,” he said. “We believe that any time families are at risk here in Saskatchewan, actions have to be taken and that’s why we have directed SaskPower accordingly.” SaskPower initially halted installation of new meters based pending a review of the recently reported fires. It offered customers the option of switching back to the old meters. At least 150 customers requested the change. “Any time there’s risk at all to Saskatchewan people, we feel it’s an appropriate course of action to move,” said Boyd. It could take between 6 and 9 months to remove and replace all of the smart meters. The latest fires come just after Portland General Electric announced it would be replacing 70,000 smart meters from the same manufacturer due to the risk of catching fire. “Be assured that there are no safety issues with Sensus electric meters that support today’s decision by the provincial government of Saskatchewan. Safety is our number one priority, and all Sensus meters are subject to rigorous testing and meet or exceed all industry safety standards. Note the government’s move applies to customers of SaskPower throughout the province, but it does not apply to portions of Saskatoon that receive service from that city’s power and light utility. According to Saskatoon officials, their meter replacement program, which uses a different supplier, has not yet had any problems. A revised estimate of the cost of reversing a SaskPower smart meter program is now pegged at $47 million, according to the provincial Crown corporation. The power utility has been ordered to swap out 105,000 units already installed. The revised estimate includes costs associated with the initial installation of the units and the cost of stock on hand for units that were going to be installed. The estimate also accounts for the labour of removing installed smart meters and the cost of purchasing a non-smart meter product. SaskPower did not save old ones as it was rolling out the program. [Eariler reports left the impression that the old meters had been saved and could re-installed]. This entry was posted in Smart Grid, Smart Meters, and RF Emissions and tagged fires, Smart Meters. Bookmark the permalink. 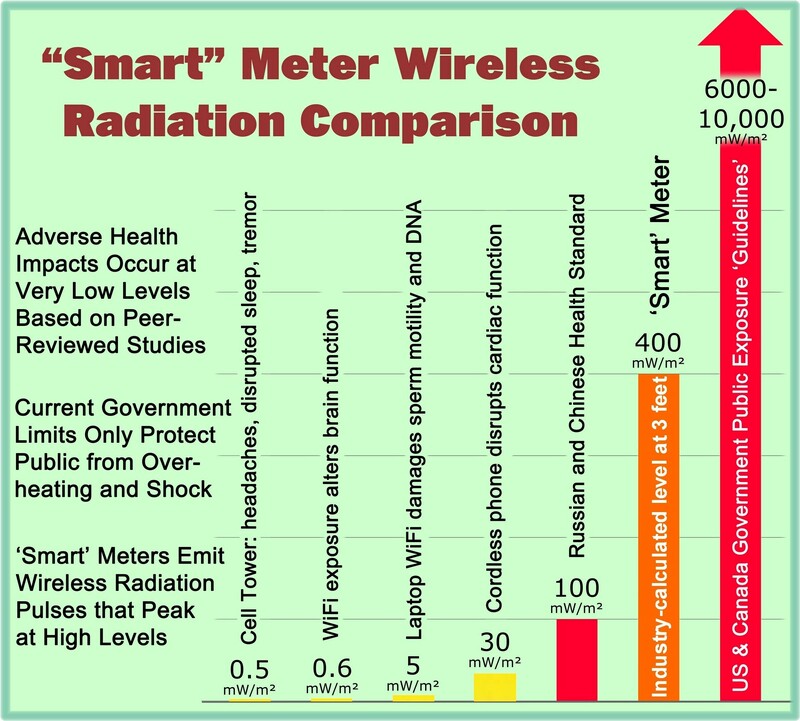 Pingback: Com Ed’s “Smart” Ice Cream Flavors Revealed | Stop Smart Meters!